A common law enforcement practice known as "speed traps" or "speed trapping" is based on one universal factor: Almost everyone speeds. Everyone has their reasons but most people speed on occasion just because they can. 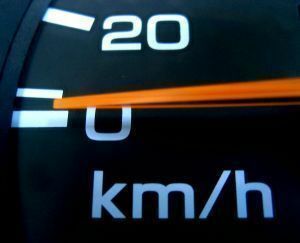 While this excessive acceleration is usually harmless as drivers have enough time to slow down during emergencies, many fatal car accidents are caused by everyday people who just didn&apos;t bother to slow down. Law enforcement personnel struggle to combat this crime but most people slow down when they see a police officer in the area. To prevent this, police officers setup speed traps so they can catch the criminal in the act. This article will explore the different kinds of speed traps and how to avoid them. A speed trap is any area in which one or more police officers intentionally hide in order to catch a driver speeding. In a speed trap, the police officer may sit in a parked car next to a sharp turn, behind a billboard, in a low ditch, in a parking lot, or any other place that prevents the driver from seeing him/her. Police officers may also sit or even drive around in unmarked cars so that the driver does not know he/she is a law enforcement agent. The idea is that by the time the driver is able to recognize the police officer, it is too late to slow down. The "trap" part of "speed trap" goes behind simply hiding. While one police officer sits in a parked car and scans passing cars with a radar gun, another is on the move nearby. When the first cop sees that a driver is speeding, he/she reports it to the other squad car along with information about the car&apos;s appearance, license plate number, and how fast they were going. This saves time for the police officer and is much more efficient as the cop does not have to leave his/her post to pull over a speeding driver. 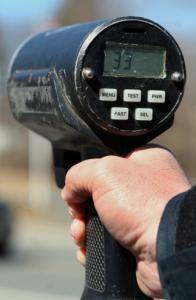 The radar gun is the most essential piece of technology in any speed trap. A radar gun works by broadcasting radio signals in the direction of a moving vehicle; when the radio signals bounce off the moving vehicle and return to the radar gun, the device&apos;s built-in computer analyzes the information and compares the initial frequency of the radio signals to the frequency of the returning signals. By comparing these two frequencies, the radar gun can judge the speed of the moving vehicle and display it for the officer. A photo radar camera is a device that is attached to a street light, hidden in a parked car, or placed in some other inconspicuous area. The photo radar camera sends out an extremely quick radio broadcast at each passing car and judges how fast the car is traveling. If the driver is speeding, the photo radar camera takes a picture of his/her license plate and mails a ticket to their address. 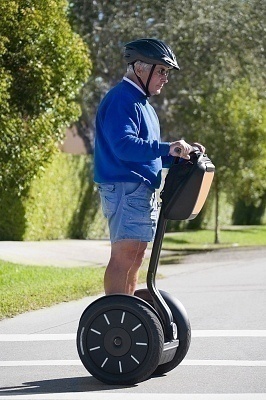 This type of device is becoming more and more popular every year as it is much easier to conceal and does not require that a police officer actually be in the area. Ironically, speed traps tend to bring people closer together as complete strangers come up with creative ways to alert one another that there is a speed trap nearby. For example, if one driver passes by a sharp turn and notices a police officer sitting on the side of the road, he/she may let the driver behind him/her know that the police officer is there by flashing his/her turn signal or brake lights. This usually sets off a rather large chain of drivers flashing their lights to pass on the courtesy to other drivers behind him/her. To avoid being caught by police officers in a speed trap, many drivers purchase electronic devices that alert them to radar equipment in the area. Likewise, some drivers buy jamming equipment that is meant to block the police officer&apos;s radar gun from detecting their true speed. While many of these devices do not work, people still purchase a large amount of this type of equipment every year. Unfortunately for the speeding driver, law enforcement agencies stay informed about the latest jamming equipment and upgrade their own technology accordingly. 161 queries in 0.254 seconds.